Property Details: 3 Bedroom, 3 Bathroom Beachfront Residence with approx. 1,475 square feet. 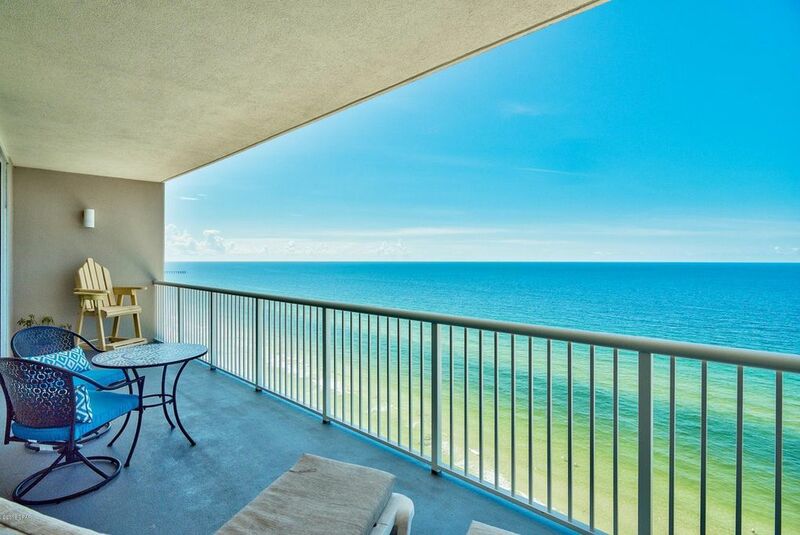 Panama City Beach condo for sale at Palazzo. Incredible beachfront residence, spacious, private balcony, fresh paint throughout and new decor! 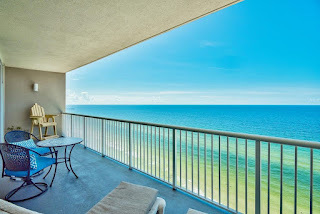 This 19th floor resort gulf-front home has amazing panoramic views of the Emerald Coast and the popular white-sand beaches. The floor to ceiling sliding glass doors & windows enhance the Gulf views even more. Access a spacious 246 sq. ft. balcony from the living area and master bedroom, which is the perfect place to relax, dine or entertain. Interior offers a welcoming coastal feel with the fresh paint. The open floor plan and raised ceilings allow the unit to feel very spacious. Crown molding is a beautiful detail for the main living areas and master. Turn key investment - don't miss this, come see for yourself! A coastal on the Florida Emerald Coast, Panama City Beach has sub-tropical weather; Panama City Beach lies in the southern sub-tropical area of U.S, where mild temperatures greet tourists year-round. Ocean breezes temper the generally warm summer weather, with warm spring/fall days and calm winds in the evenings. This area of the Gulf of Mexico has an annual average temperature of 75+/- degrees Fahrenheit and 340+/- days of sunshine each year, making for a popular outdoor lifestyle - tourists and locals alike enjoy the beautiful sugar-white beaches and abundant activities the area is known for.